A beautiful high resolution panorama of Liverpool Waterfront taken in 2004. Available as a print or canvas, in colour or black and white. Canvas is stretched on a wooden frame printed on high grade canvas. All prints and canvases are from a limited edition of 250. 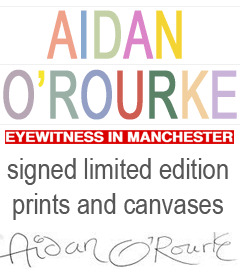 All prints and canvases are signed by the artist and supplied with a signed and numbered certificate of authenticity.